1. On the Home screen, tap More, and then tap Settings. 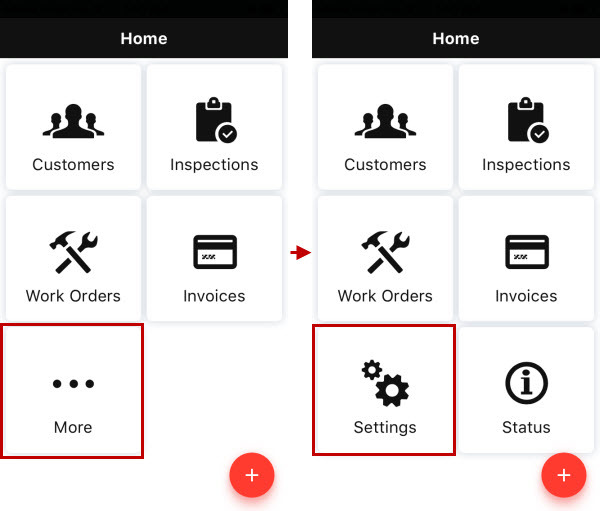 Note By default the Manual Send option is turned off, so after you are make any changes in customers, inspections, work orders, and invoices, or send inspections and invoices by email, the appropriate messages are sent to Back Office automatically. 2. 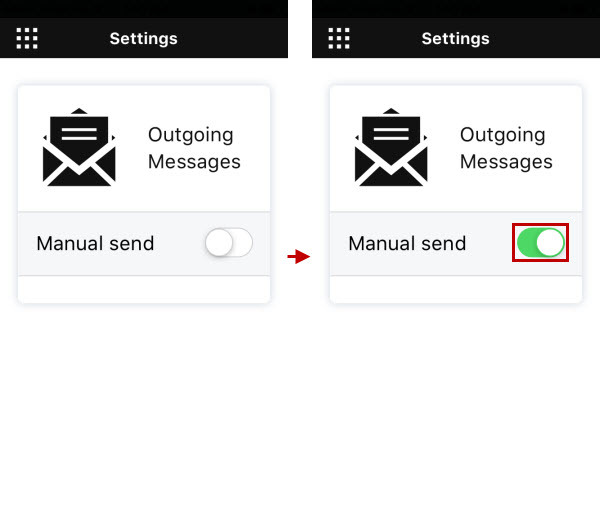 Turn on the Manual Send option. 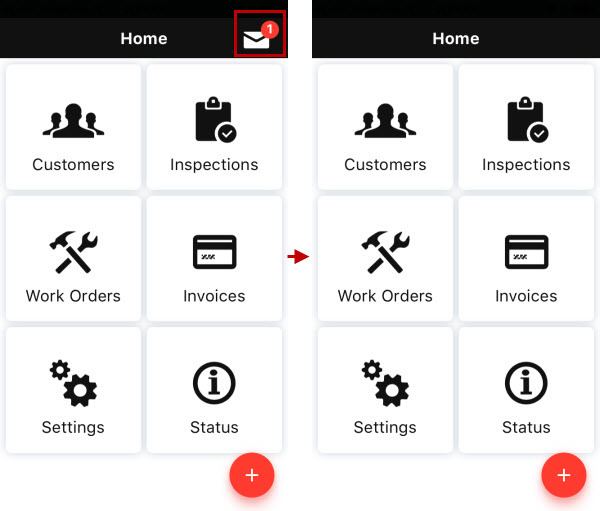 Note Now when you make any changes in customers, inspections, work orders, and invoices, or send inspections and invoices by email, the appropriate messages are queued, and the Email icon with a number of messages appears in the upper-right corner of the Login screen, the Home screen, and the Status screen. Tap the Email icon to send the outgoing messages.